How Much Ham Will You Need This Easter? Ham is to Easter what turkey is to Thanksgiving. Without that ham on the table, there is no Easter meal. It’s just not happening, and at the very best, the meal is lackluster. That being said, baking the perfect ham is no easy feat. That, and you never know if you have enough ham once it’s cooked. That can get pretty stressful if you’re hosting Easter! Are you hosting Easter this year? If so, I won’t tell you how to cook your ham. You may very well have a recipe that’s been passed down for generations. I will tell you how to make sure you have enough. Now that you’ve identified your ham, it’s time to figure out how much ham you’ll need per person. These amounts are rough estimates, so some will eat more and some will eat less. The point is, these estimates will for sure give you enough ham for your Easter meal! Each person should roughly eat 1/3 to 1/2 a pound of boneless ham. That means you should buy 2-3 pounds of ham for every 6 people. The bone in the bone-in ham is going to make up a good portion of the full weight of the ham. Once you take the bone out and use it to make some awesome soup is the ham itself. Each person should get 3/4 a pound to 1 full pound when you’re buying the ham. That means you’ll need 4.5-6 pounds for every 6 people. Country ham is a lot saltier and a lot more intense, meaning people will probably eat less, about 1/4 to 1/3 pound per person. With that in mind, you’ll need about 1 1/2 to 2 pounds per 6 people. 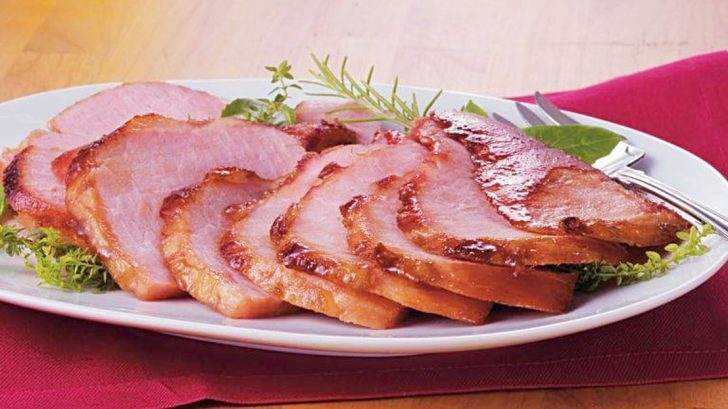 If you need a good ham recipe, check out the recipe below by PhillyBoyJayCooKingShow. No matter your taste in ham, I hope this has made everything easier for you. Happy Easter!